Finding it difficult to come up with a new way to express your love every year to your significant other, and looking for some Valentines Day inspiration ? Every year February 14th draws in and many of us find ourselves searching for inspiration to knock expectations out of the water. Well perhaps a brief lesson in animal courtship could be of use. 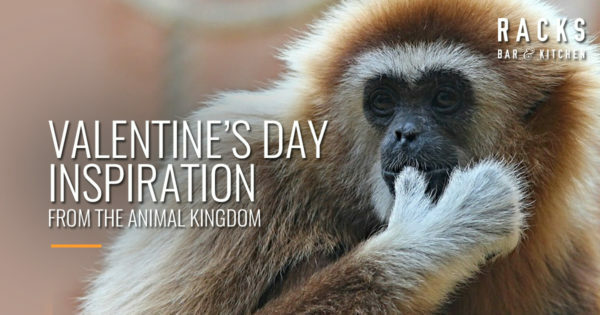 Take a look at these love rituals throughout the animal kingdom, and be inspired. If you’ve ever been accused of not putting in enough effort or perhaps you’re guilty of trying – a bit too hard? Well fear not because we can assure you that no one tries harder than the Albatross. Courting begins at a very young age for this great seabird, when the young birds sit back and learn from elders who will dazzle a multitude of suitors with dances, songs and staring. These mating rituals can take up to 10 years before finally settling on a single mate whom they will spend the rest of their lives with. Aww! It’s common knowledge now that the male seahorses carry the litter in the pair – but the courtship ritual that initiates the process is very involved and can take a number of hours. The pair hold tails (Aw! ), swim snout to snout (Aw!) and change colour to show they are ready for romance. This can go on for days before they engage in an 8 hour long dance… apologies for all those people out there with 2 left feet. What’s a Prairie Vole you say? A rodent… duh! Now usually rodents don’t incite much romance (unless you’re into that) but the Prairie Vole may change your mind. The male will move in with their first girlfriend and stay with her for life, fending off any potential ‘home-wreckers’ that may enter their little den of love. After the birth of their pups, they spend the rest of their time doing other lovey dovey things, grooming each other and cuddling together to keep warm. How sweet! Another monogamous animal (try saying that after a pint or two), gibbons spend their life with one partner, which can span up to 40 years. Unlike that of the Albatross with their elaborate dances, Gibbons will use song to attract a partner. Their sensual and sweet voices can be heard up to half a mile away! So ya know… maybe you could try that. The name says it all. These birds… of love, really capture the feeling of romance. In fact ancient Greeks once believed that if one lost it’s partner the other would die… morbid but still AW! Lovebirds will find a mate at just 2 months old, after the female fluffs up her feathers the male engages in an elaborate dance (again, sorry if you’ve got two left feet) to show his affection. These birds are sometimes given as wedding gifts because of their symbolism of commitment – bit of a change from the Ol’ Cadbury Roses, huh? There you have it. That’s not too hard is it? You’ve got some time now to learn a few new dances and perhaps take a singing lesson or two. However; if singing and dancing doesn’t do it for you, maybe you can just rely on old faithful to woo your mate with a few carefully selected sharing dishes and desserts here at Racks!